The vacation is over for our part, but the ownCloud community never rests. The first bug-fixing release of server version 8.1 is here, and contains many improvements. It’s easy, safe, and harm free to upgrade. Even the upgrade process for users using the openSUSE packages has been improved. It now handles the whole update/upgrade process through occ which means you don’t have to upgrade the database manually after you run the `apt-get upgrade` command in Ubuntu or your Linux dist, the packages trigger occ upgrade in their postinstall scripts. As you already know, this is included in the automatic upgrade process of the ownCloud VM, and as an addition – that script also set secure permissions and cleanup unnecessary files. Check it out. Regarding the VM, we have worked on some improvements as well. The script now takes care of setting Trusted Domian directly in config.php, instead of that you as a user has to do that manually after the script has run. The disadvantage of this improvement is that you have to run the script in order for ownCloud to work (you get a white screen in browser out of the box due to that the config values are added during the script), but at the same time you would need to run the script anyway to get the best possible experience. The script takes care of many things that would take quite a long time to set up for an inexpert user. Another improvement we made was that we updated the whole system. As we saw there were many users from countries with bad internet connections we wanted to save them the hassle of updating the whole system themselves. With that improvement we cut the time of the install script to finish from around 20 minutes (on a bad connection) to around 5 minutes, because the update process was downloading 165 updates, and now it’s down to zero. 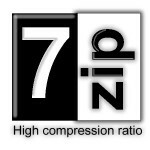 We also decided to use 7Zip, which is a open source compressor that saves around 200 MB of the compressed VM in size compared to a regular RAR package. All those downloaders in far distance countries now downloads approximately 15 minutes faster than before. We still chose to save the RAR package to see which file was mostly downloaded, and also because the convenience of not having to download another program just to extract the file, as RAR is widely used. Most of the time Tech and Me’s VM is the first to contain the new ownCloud release, and it was no exception this time. Server 8.1.1 is available for you to download today, with all the new improvements both from the ownCloud community, and from me with the VM. We also want take time to thank all the developers and contributors for making this version – as always, better than before. Thank you! Are you new to Linux and is looking for an easy way to deploy your own server with ownCloud? Then the full-instructions guide is something for you. Check it out! If you host a regular website, then Cloudflare protects your server. Check it out!